Hospitals, nursing homes, ambulatory care and surgical centers, home health facilities – these health care facilities have customers (patients) who can’t afford for their stored fuels and emergency generators to fail. Hospitals and health care facilities are required by law to stay on top of their stored fuel’s condition and ensure that their emergency systems are up to snuff when it comes to responding to an emergency. The costs for failure can be dire for everyone involved. And even health care facilities that think they are well prepared, with plenty of advanced warning, can find themselves with unexpected problems when problems with stored backup fuel and emergency generators disrupt essential systems. Recent significant weather events like Hurricane Irma in Florida and Superstorm Sandy in the North East led to preventable tragedies that were, at least in part, fuel and storage tank related. Recent changes to today’s fuels can present a challenge to hospitals and health care facilities. A challenge they have no choice but to overcome. Today’s fuels are not what they used to be. Microbe and biomass infestations can develop quickly in their fuel, plugging filters and compromising the ability of essential backup systems to run in an emergency. And today’s emergency diesel fuels develop harmful gums and varnishes quickly enough that they can darken and stratify in less than half the time as in years before. Not to mention the harmful effects that fuel-borne microbes and water can have on health care facilities’ fuel storage tanks. 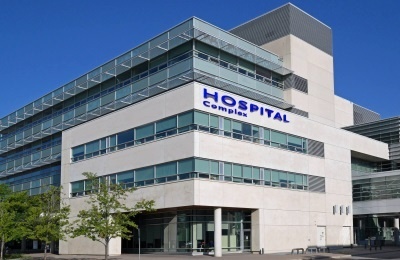 For times and situations such as these, Bell Fuel & Tank Services (Bell FTS) offers the right tools and the right approach to support hospitals and health care facilities in their times of need. The Bell FTS program works with the health care sector to offer a hybrid approach to keeping fuel and storage tank issues from compromising their ability to stay in compliance with regulations. Bell Fuel and Tank Services’ hybrid approach is the most effective (and cost-effective) way for hospitals and health care facilities to ensure they stay fuel-problem-free and ready for business. They stay problem-free with the best fuel treatment chemistries that prevent serious problems with microbes and MIC tank corrosion. Bell Fuel & Tank Services also provides the best mechanical tank services and fuel problem mediation, covering the elements of emergency backup fuel health that fuel treatment chemicals can’t achieve. And both of these essential elements are supported by state-of-the-art testing and monitoring that ensure that health care facilities know what’s going on with the condition of their tanks and the fuel therein. This Fuel PM predicts problems and allows corrective action to be taken instead of reacting to them after the fact. This keeps everyone happy – hospitals and health care facilities, the patients, and the regulators.